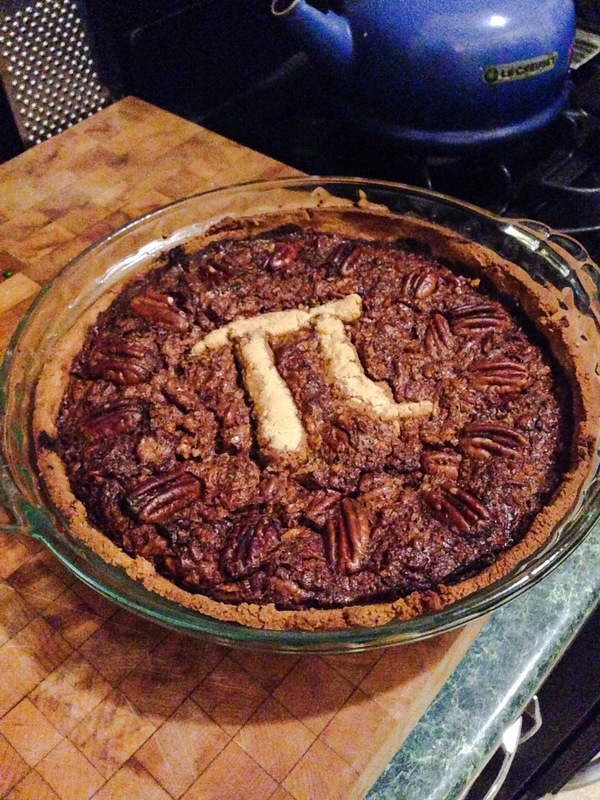 If you know me at all (and probably if you’ve followed my blog at all) you won’t be surprised to learn that I’m super excited about Pi Day (and not just because it’s my amazing mother’s birthday – Happy Birthday Mom!!!!) 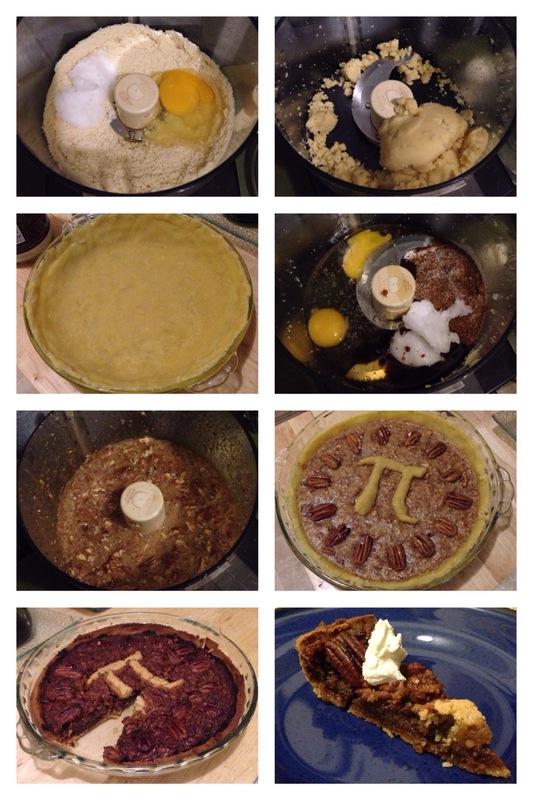 And I, along with the other nerds, have been especially excited for This Pi Day (it being 3.1415 and all…) Anyway, what better excuse to make a pecan pie?? Then press it into the pie pan – done. Then you can bake it at 350*f for ~10 minutes, or you can wait and bake it with the pie, which is what I did.